Daniel Ortega and his wife Rosario Murillo have been sworn in as President and Vice President of Nicaragua. Ortega and Murillo were elected in November with 72.5 percent of the vote, but with a high rate of abstentions. Their party won 71 of the 92 seats in parliament; Aljazeera reports. 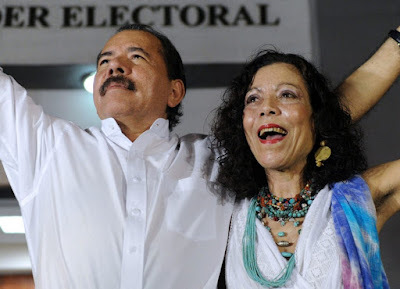 This will be Ortega's third term in office.